At WOLO School of Arts, we offer private lessons for guitar. Our music teachers love teaching, strive to make learning fun and are highly experienced in working with children from ages 6 to adults. We host two recital performances a year to celebrate our student's progress and success. Please visit "Our Teachers" page for more information on our teachers. We are excited to meet you soon! Perhaps you have a goal to learn a new instrument? 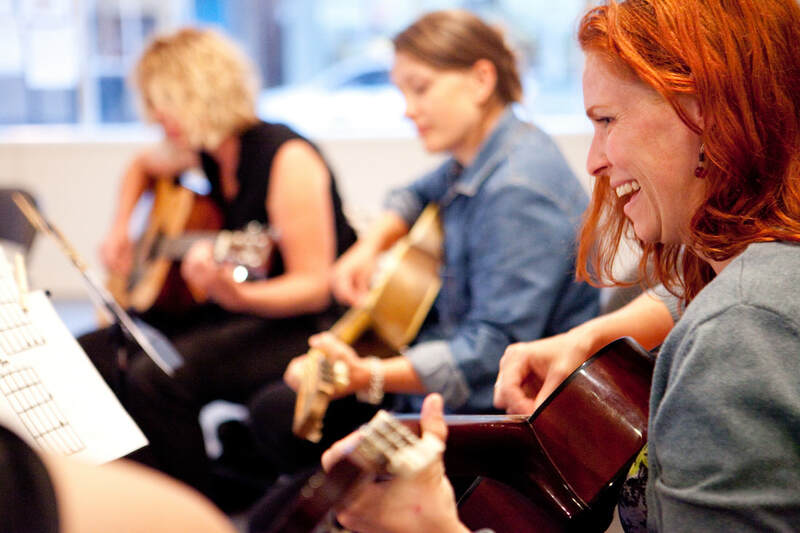 Learn chords, strumming patterns and start playing songs in a group environment. No prior musical experience is required. Bring your own guitar. If you do not have a guitar, you can rent one at a music store. Learn with a friend and you and your friend gets $10 off the term! Grab 3 friends and start a private class!